HLA-A, -B, -DRB1, -DQA1, and DQB1 alleles were studied in Iberian and Algerian populations by serology and DNA sequence methodologies. The genetic and cultural relatedness among Basques, Spaniards, and paleo-North Africans (Berbers or Tamazights) was established. Portuguese people have also maintained a certain degree of cultural and ethnic-specific characteristics since ancient times. The results of the present HLA study in Portuguese populations show that they have features in common with Basques and Spaniards from Madrid: a high frequency of the HLA-haplotypes A29-B44-DR7 (ancient western Europeans), A2-B7-DR15 (ancient Europeans and paleo-North Africans), and A1-B8-DR3 (Europeans) are found as common characteristics. Portuguese and Basques do not show the Mediterranean A33-B14-DR1 haplotype, suggesting a lower admixture with Mediterraneans; Spaniards and Algerians do have this haplotype in a relatively high frequency, indicating a more extensive Mediterranean genetic influence. The paleo-North African haplotype A30-B18-DR3 present in Basques, Algerians, and Spaniards is not found in Portuguese either. 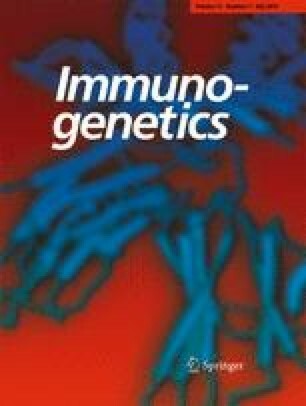 The Portuguese have a characteristic unique among world populations: a high frequency of HLA-A25-B18-DR15 and A26-B38-DR13, which may reflect a still detectable founder effect coming from ancient Portuguese, i.e., oestrimnios and conios; Basques and Algerians also show specific haplotypes, A11-B27-DR1 and A2-B35-DR11, respectively, probably showing a relatively lower degree of admixture. A neighbor-joining dendrogram place Basques, Portuguese, Spaniards, and Algerians closer to each other and more separated from other populations. Genetic, cultural, geological, and linguistic evidence also supports the hypothesis that people coming from a fertile Saharan area emigrated towards the north (southern Europe, Mesopotamia, the Mediterranean Islands, and the North African coast) when the climate changed drastically to hotter and drier ca 10 000 years B.C.